I discovered mountains when I was an art student. A friend invited me to come on a Mountain Club of South Africa meet, and I discovered a new world! I have taken photos on most trips but it is only relatively recently that I have really painted mountains. Some scenes can be painted over and over, as Cezanne found with Mont Sainte-Victoire. 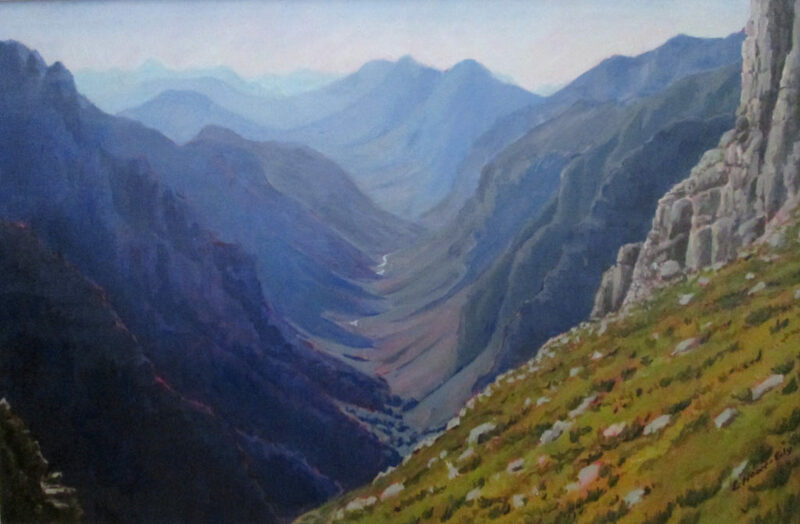 I have not tired of the wonderful view down the valley from a spot called Bergriviersnek, in the Jonkershoek. I have done four versions of this view so far, below is the biggest one. Apart from the sheer beauty of mountains and their shadows, the other things that fascinates me is cloud over mountains. Recently I did two horizontal works of ridges in cloud and mist. 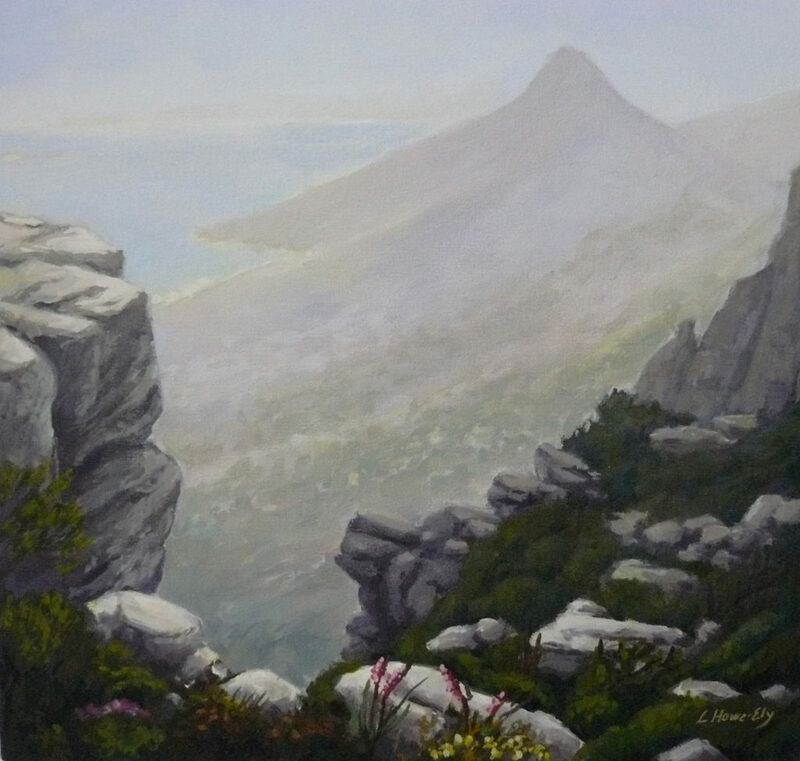 Another recent work was of the view from high up on the Camps Bay side of Table Mountain. I have also done many sketches while in or near the mountains and hope to do many more!